Working with your cardiologist will help you get back in fighting form following the insertion of a pacemaker. Together, you can take steps to ensure your heart health for years to come. If you’re in the Auburn, IN area, find a cardiologist here at DeKalb Health. And read on for some pacemaker health tips. One of the most important things you can do is make sure you understand what you can and can’t do now that you have a pacemaker, and what the road to recovery looks like. The key here is to ask questions of your cardiologist—and lots of them! Your understanding is paramount to your health. Do you understand the programmed lower and upper heart rates? What is the maximum safe heart rate? Can you use the microwave? 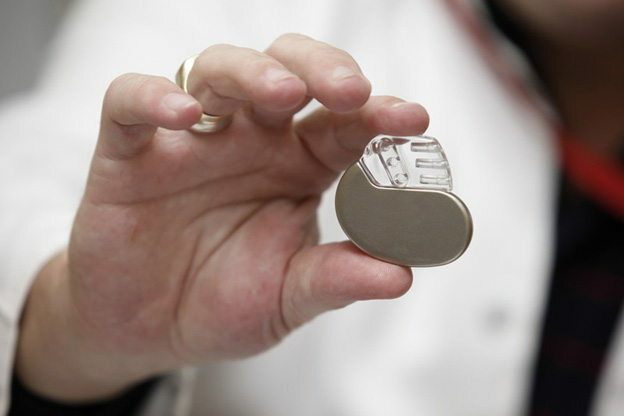 How often should you have your pacemaker checked to assess things like battery life and wire integrity? Your pacemaker is there to keep your heartbeat steady in order to avoid, or at least reduce, dizziness, shortness of breath, fainting, and the like. In short, it’s there to help you get on with your life and do the things you want to do. Physical activity is great for keeping your heart and your head healthy. But there are limitations. The most important guideline for engaging in physical activity with a pacemaker is to know your limits. Your aim should be to stop before you get tired. If you miss that mark, be sure to stop and rest when you do get tired. For the four to six weeks following the insertion of the pacemaker, avoid activities that strain your upper body. And we’re using “strain” loosely here. Really, you’ve got a free pass to avoid mowing the lawn, vacuuming, and mopping. Also stay off the golf course and the tennis court. For this initial recovery period, biking, jogging, and weight lifting are off-limits as well. It’s important that you not raise your arm above your shoulder on the side of your body where the pacemaker is located. During this period, walking is great, as long as you listen to your body. Although you’ve got the pacemaker to give your heart a helping hand, it’s still common for your cardiologist to prescribe medication. Medication can be used to aid your pacemaker in regulating your heartbeat, or to manage pain in the days and weeks following the implantation of the pacemaker. It’s important to follow your doctor’s instructions when it comes to medications in order to avoid unnecessary complications. Not sure if you can take that pain reliever in your medicine cabinet? Pick up the phone and call your doctor to double-check. It’s important to let relevant parties know about your pacemaker. This includes doctors, nurses, hospital staff, medical technicians, or any other healthcare provider you go to see. Be sure to let them know right off the bat. You’ll also want to get a pacemaker wallet identification card to display to airport security or at metal detector checkpoints. One of the most important parts of pacemaker health is keeping up with your pacemaker check up appointments. If you’re looking for a cardiologist, call 260.920.DOCS to find a great provider here at DeKalb Health.